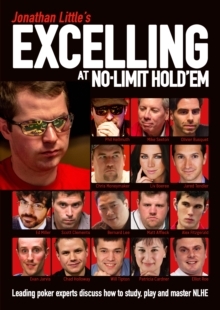 Mike Sexton is a legend in the poker world. 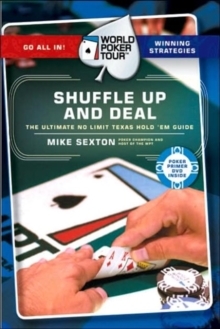 In a life spanning over four decades as a poker professional, Mike has excelled both on the felt and on the business side of poker. He is a World Series of Poker (WSOP) bracelet winner, helped create PartyPoker in 2001 and was a key player in an event that changed the poker world forever - the launch of the World Poker Tour (WPT) in 2002. He has been a commentator on the WPT, along with Vince Van Patten, since its inception. In addition, Mike was recognized as poker's Top Ambassador at the Card Player Magazine Player of the Year Awards gala in 2006. That same year, he won WSOP Tournament of Champions, winning $1 million in prize money - half of which he donated to charity. 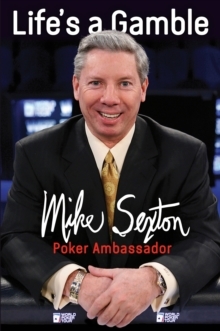 He was inducted into the Poker Hall of Fame in 2009.In this book Mike recounts his personal experiences and gives his take on some of poker's legendary characters over the past 40 years. If you enjoy poker, are fascinated by the development of the game and enjoy compelling poker, golf and gambling adventures, then you'll love Life's A Gamble.